I loved these cookies. I did not have any macadamia nuts to add, but wish that I did. These cookies reminded me of the Otis Spunkmyer cookies I used to eat in high school. The recipe can be found here. Next combine the flour, baking powder, baking soda, and salt in a small bowl. Then beat the butter, brown sugar, granulated sugar, and vanilla extract in a larger mixer bowl until cream. Next beat in the egg. Stir in the morsels, coconut, and nuts. 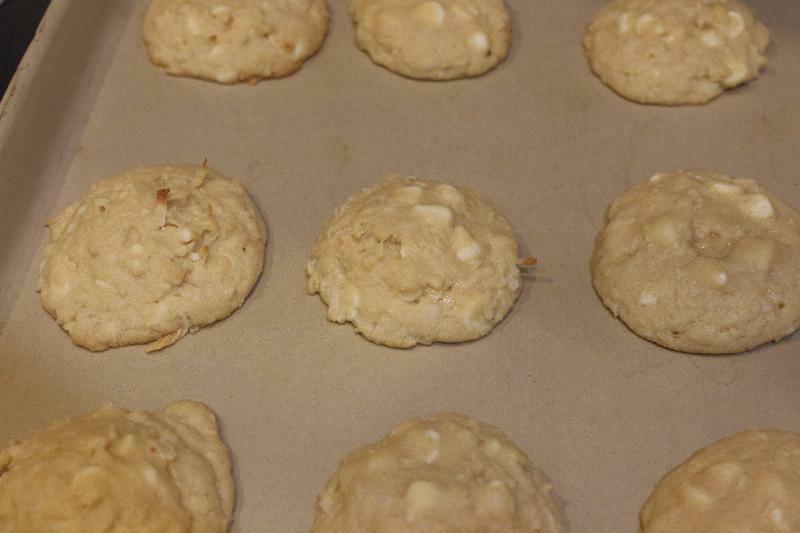 Bake for 8-11 minutes or until the edges are lightly browned. Cool on the baking sheets for 2 minutes and then move to wire racks to cool completely.